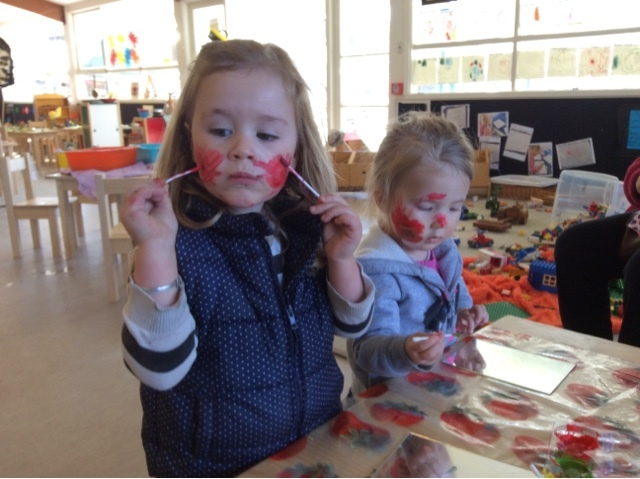 This afternoon, one of the children took a responsible risk and asked if kindergarten had face paints, "Yes we do" I answered and before long some of our children began exploring face painting their own faces. 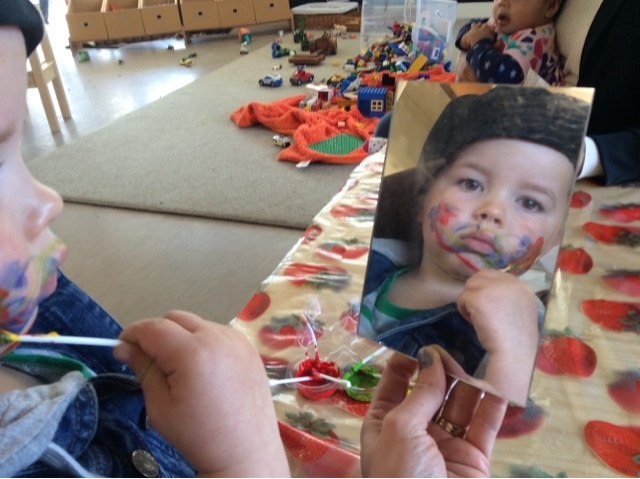 The children spent time looking in the mirror striving for accuracy and perservered as they put face paint exactly where they wanted it on their face. It wasnt long before the children giggled with joy as they watched their faces and their friends transform in the mirror. This is very creative ,he tino auaha tēnei. 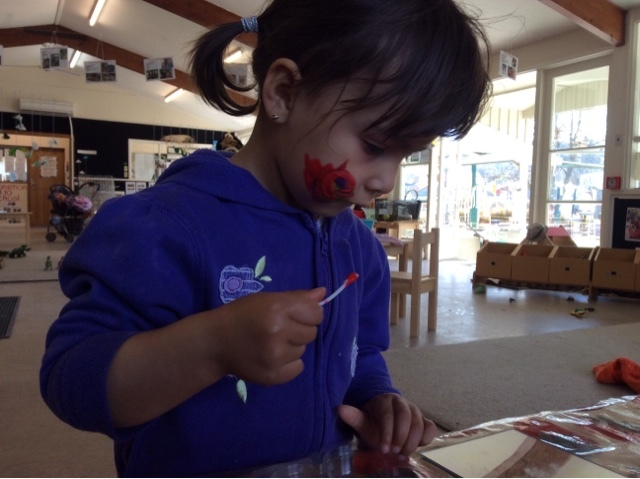 Face painting is a great activity to help develop fine motor skills as the children hold onto and control the cotton buds as they paint. 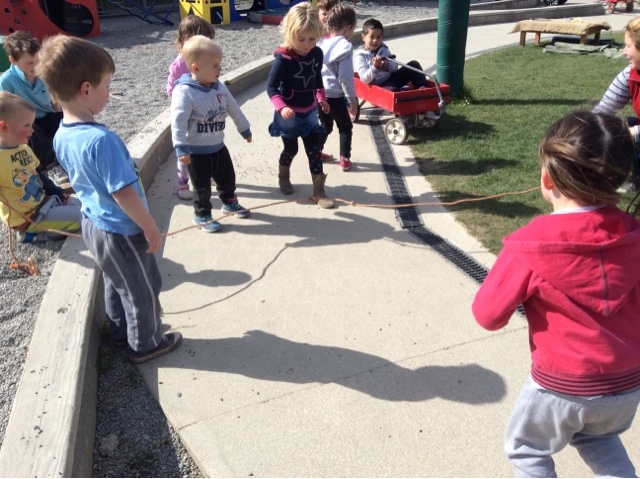 This morning our children decided to take a responsible risk and try mastering the skill of jumping over the wiggly rope, lots of children lined up and then started watching the rope wriggle until they could jump to the other side. 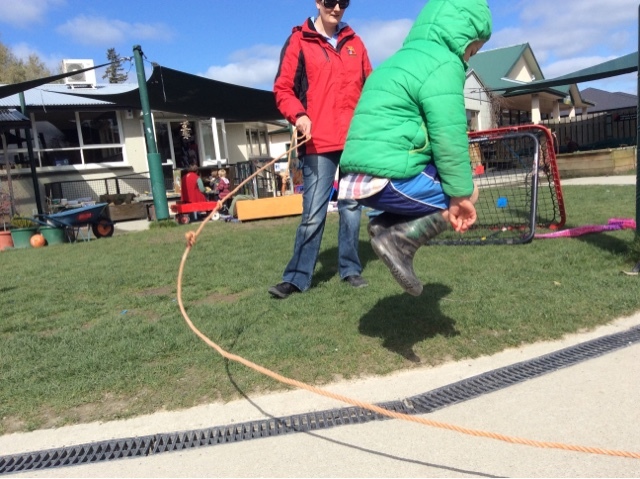 As the children explored mastering this new skill, some of the children decided they wanted to give skipping a go, so Ashleigh and I had a turn seeing how well we could do it and demonstrating to the children. 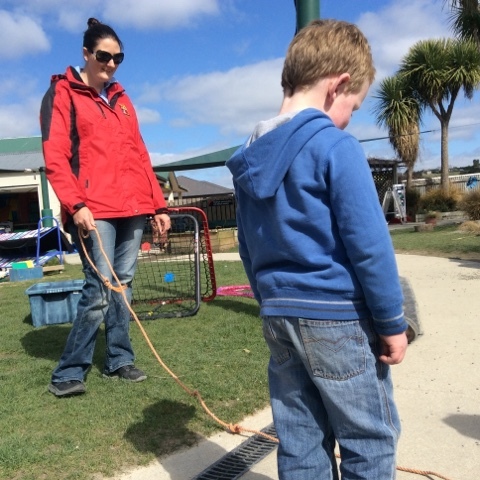 It wasn't long before a small group of children were perservering with difficulty as they tried and tried again to beat the previous number of times they jumped the rope. This is great he rawe tēnā! 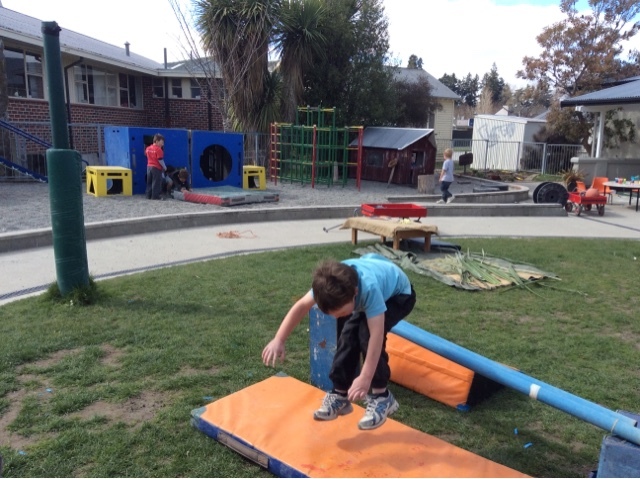 As the children began mastering this skill they decided to have a go at a different type of jumping, 'high jump', the children began building a high jump, showing manaakitanga/care and respect as they put landing mats on one side, making sure everyone was safe. It wasnt long before all the children were lining up to have a go at high jump, some mastering the skill very quickly while others had to perservere and try and try again. 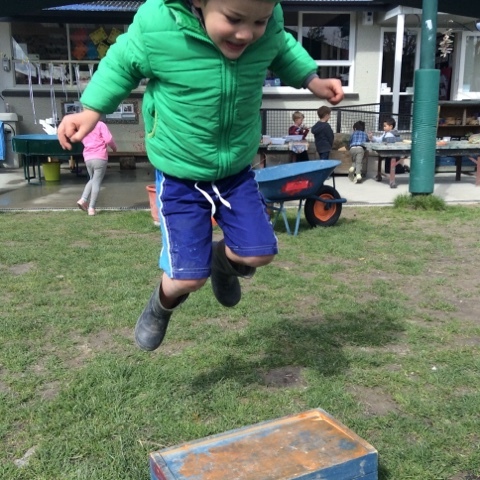 The children showed huge joy as they continued to master different skills in jumping. 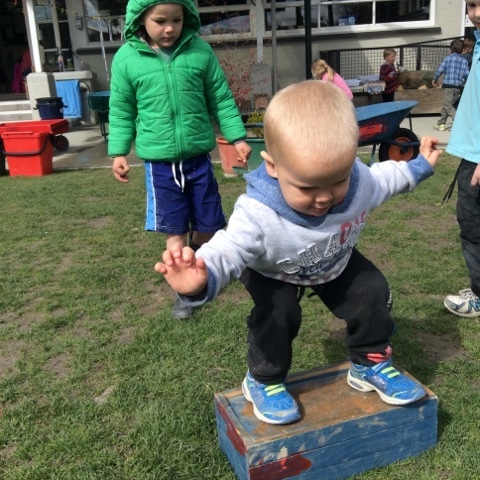 Ko te korikori tinana he pai mō te hauora, Exercise helps us stay healthy. This morning we made a gluten-free and dairy-free brownie. 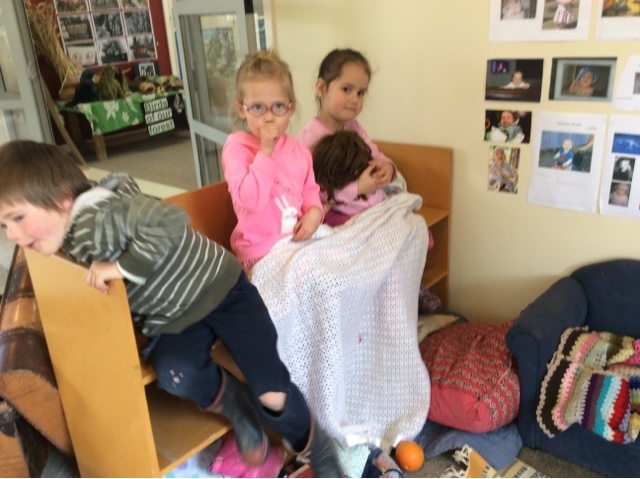 Children gathered around the table ready to work together, and the baking started. 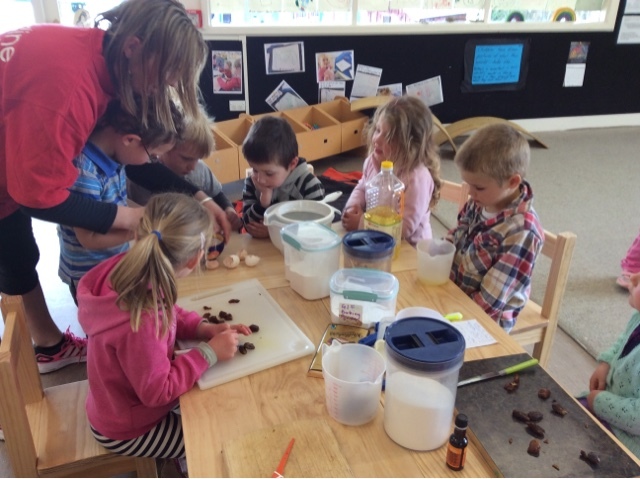 Some children chopping dates, others measuring the dry ingredients, some measuring the wet ingrediengts and others practising their egg cracking skills. Āe mārika - How about that! Everyone took a turn at mixing all of the ingredients together before setting the mixture our on a tray to bake. 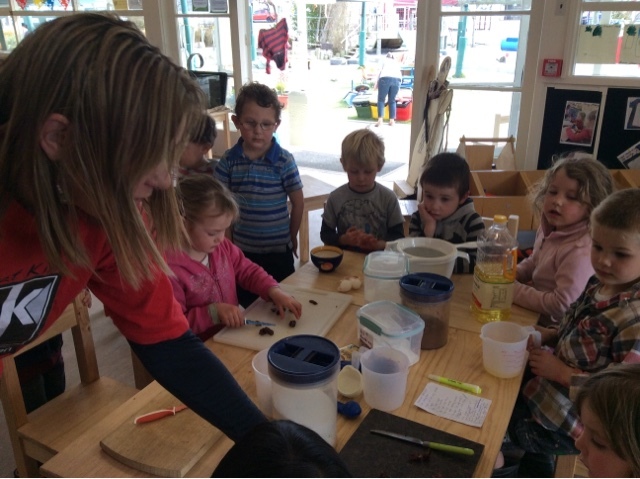 A very warming smell filled the kindergarten as the brownie cooked and children continued to ask if it was ready yet! Finally at lucnh time the brownie was ready and we each got to try a piece. Why was this baking experience so significant to our learning and development? 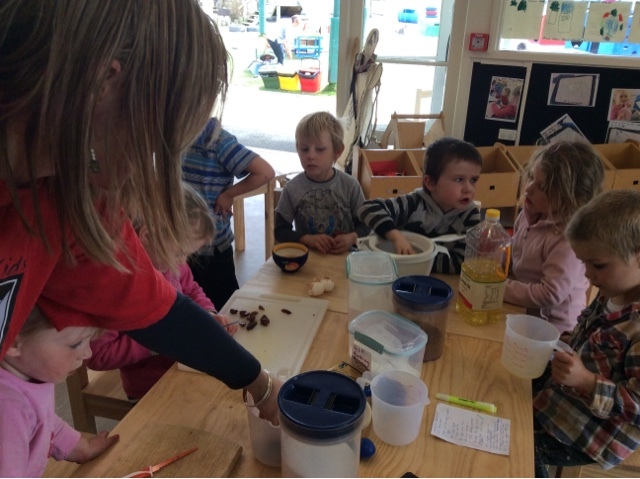 Baking is a special experience to be involved in as it creates links between home and kindergarten for children. 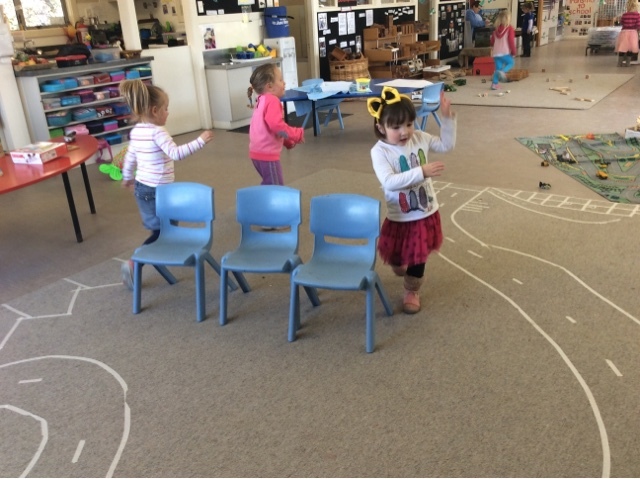 Being involved in a group activity like this encourages us to slow down and follow instructions, some time 2 or 3 at a time. 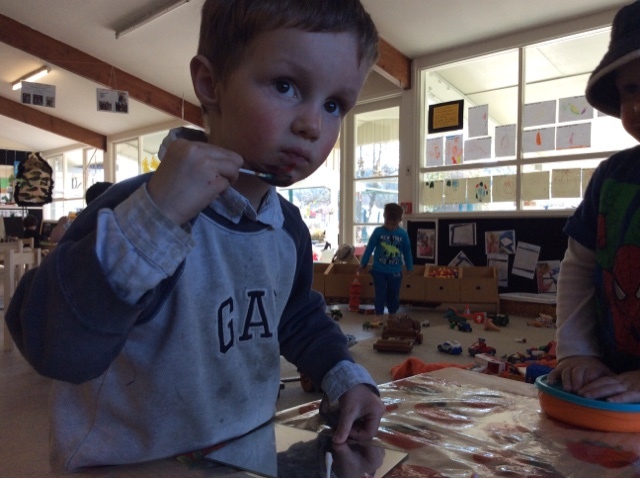 It also encourages us to practise our hand eye co-ordiation as we use knives to cut up ingredients, measuring cups to measure quantities of ingredients and spoons to stir the mixture in a bowl. A fun experience enjoyed by all, expecially at tasting time! 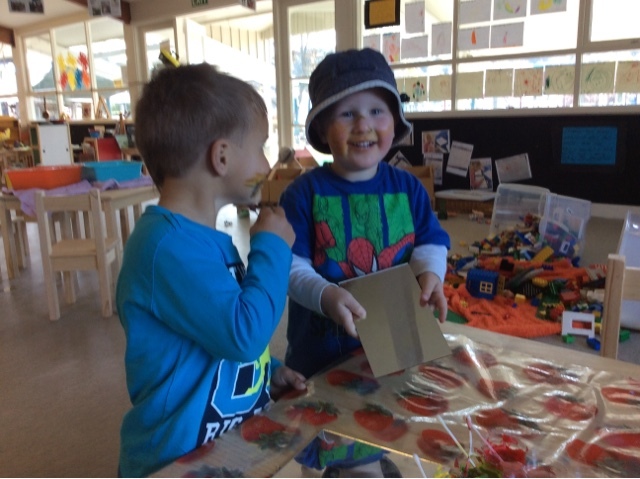 This afternoon was a perfect opportunity to take the small group at kindergarten on a walk down to our local garden centre. It was a great opportunity to take the children who attend our afternoon session on their very first walk outside of kindergarten. The children lined up at the gate, ready and waiting to go. Becasue it was the first walk outside of kindergarten for this group of children we took the time to have a discussion about keeping ourselvces safe at what this looked like. For example, walking along the foorpath and holding the hand of an adult or teacher along the way. 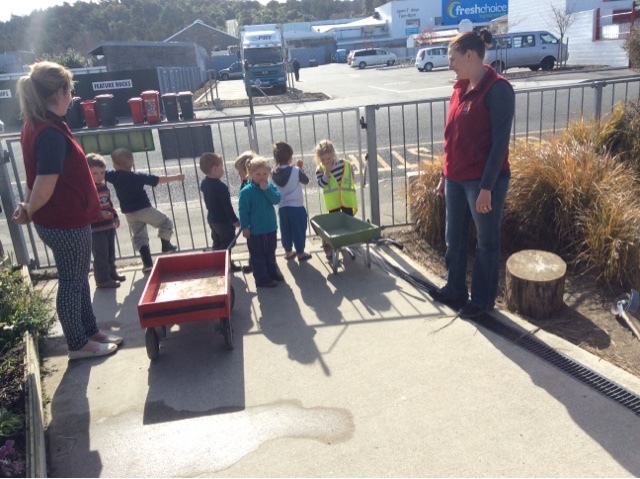 On our walk down the street to the garden centre children chatted away and showed much interest in the big noisey rubbish truck that was emptying bins on the other side of the road! And then we were there - we had arrived at the Geraldine Garden Centre. Once inside we found our way toward the trays of flowers and teachers encouraged the children to stop and take a look at the flowers in front of them. 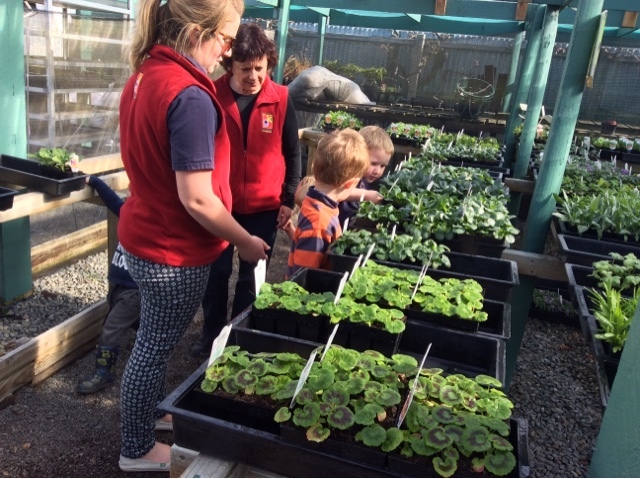 There were labels that helped the children to choose which types they wanted to take back to kindergarten to plant in our much admired tyre gardens. 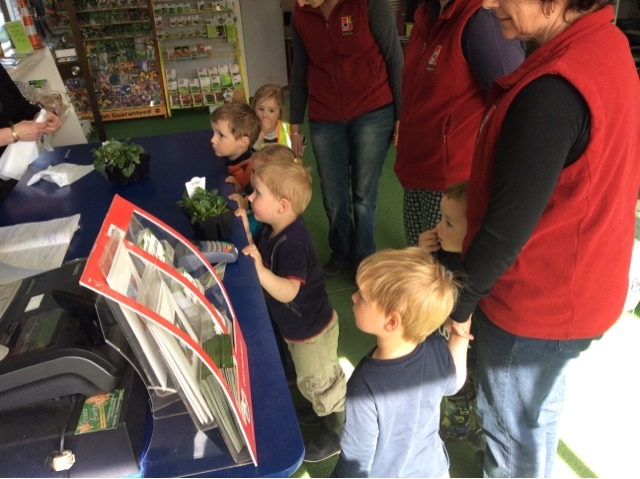 Ruby and Paxton took responsibility for carrying the plants we had chosen and placing them up onto the counter so that we could pay for them. On returning to kindergarten a small group of children followed through with the planting of the flowers we had chosen, digging holes and placing the plants inside before giving them a big water. Tumeke - Fantastic. 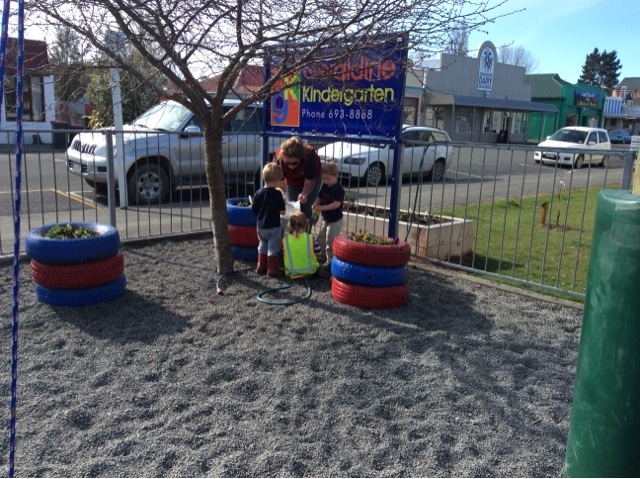 A great way to show manaakitanga/care and respect to the flowers that we grow here at kindergarten. Who is wearing their seat belt? The shelves in the room have been used with many innovative ideas lately. Today Charlotte, Caleb, Kherrah said that they were going on a trip. 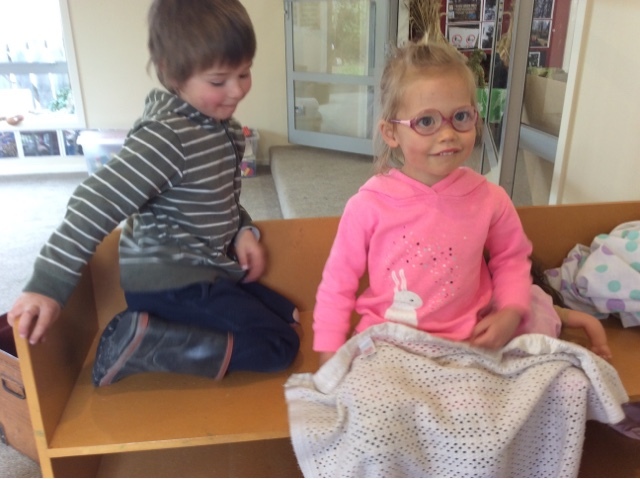 Charlotte stated, "We need to put our seat belts on!" Charlotte continued, "Yeah, we have to put them on but Caleb doesn't!" She explained, "Dad's don't have to wear seat belts!" Caleb chuckled and then Gael arrived in the room and after overhearing the conversation and said, "All Dad's wear seat belts!" Ruby, Molly and Emma created their own dance routine today. They stepped in time to "Moving to the Beat!" while doing the appropriate action like clapping and stamping their feet. Additionally, the bodies swerved from side to side as the chairs were circled. The chairs were sat upon when waiting for the next song! 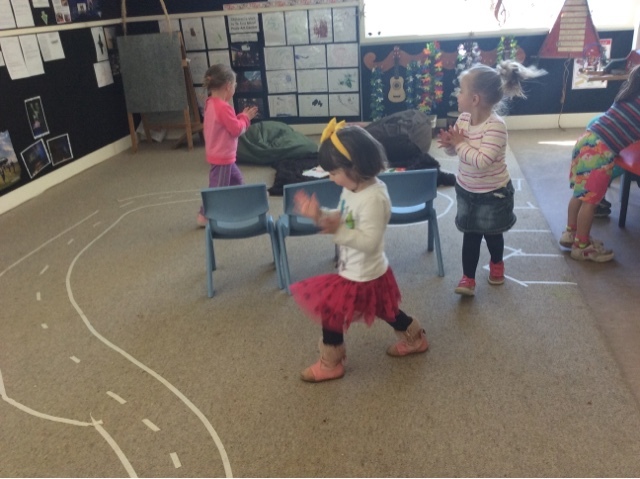 Dancing plays a big part of our day at Kindergarten as children show their creativity through movement. The girls were together as a small dance group but were independently making up their own moves. For example, when the action was roll your hands, Molly rolled them in front of her, Emma waved her arms high in the air and Ruby continued to clap in time to the beat of the music. This is the Habit of Mind called working interdependently - mahi tahi! 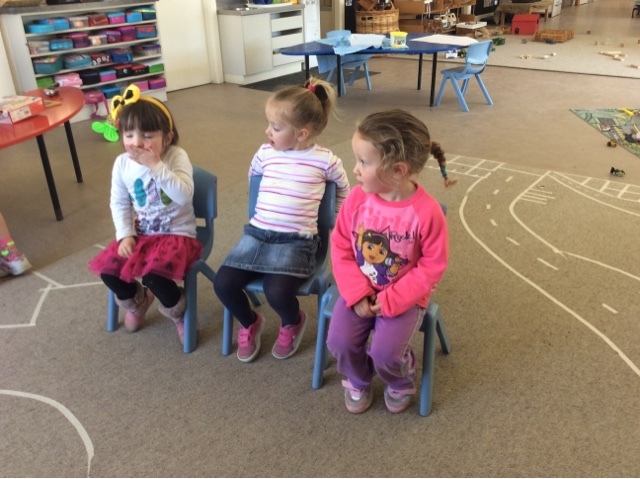 The happy faces suggested how movement and music will remain a daily activity in our learning programme! 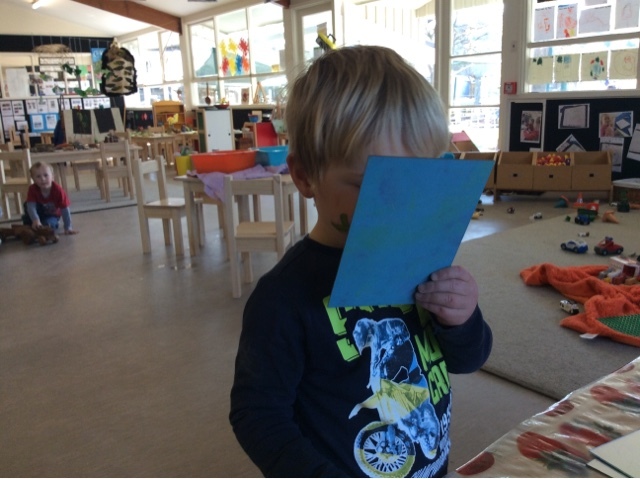 ...... Our children discovered some exciting parcels waiting to be revealed as they came in . 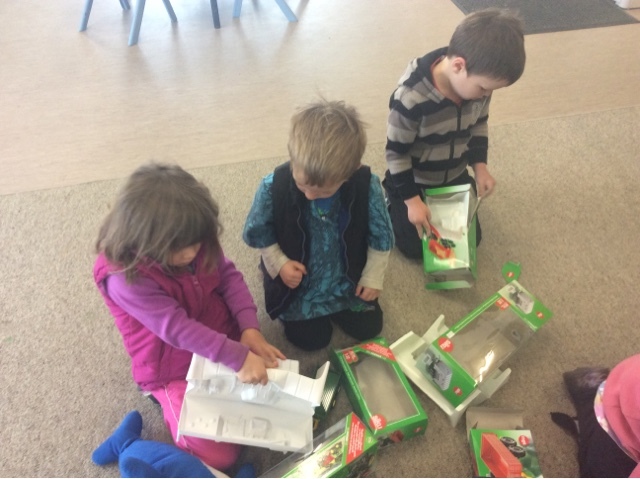 With great excitement while also managing their impulsivity and eagerness to open more than one box each, the contents were revealed. New tractors and trailers and animals , enough for everyone to share became the highlight of the morning . 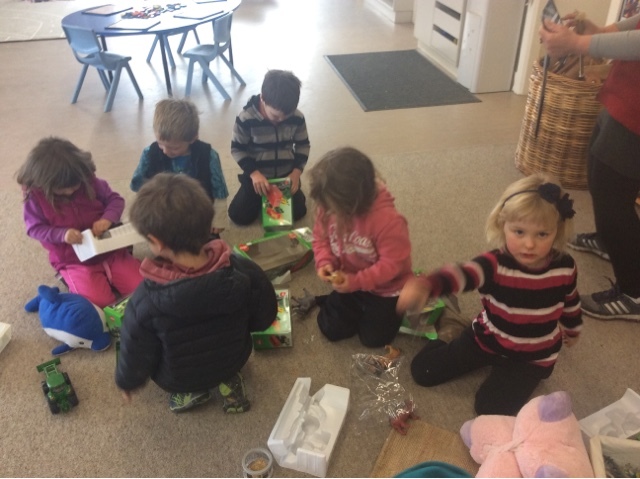 Children showed manaakitanga ( care and respect) as they ensured that all that were interested had a parcel to open .